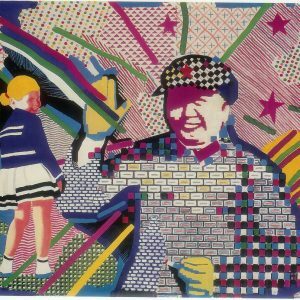 Yu Youhan (1943 Shanghai) is a key figure in the Political Pop movement. His influence on Chinese avant-garde art has been felt since the mid-1980s when he was a major figure in the Shanghai Minimalist movement. He began his Mao series in 1989. The series consists of portrait-like depictions of Mao’s everyday life. 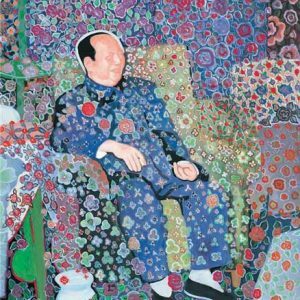 Yu Youhan is widely considered the father of abstract painting and Political Pop in China. 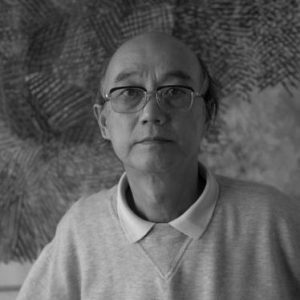 A longtime teacher of art in Shanghai, Yu has no wish to pursue an interdisciplinary or international practice, as many artists of his generation do. 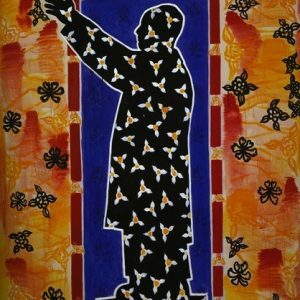 In this conversation, he talks about his life during the Cultural Revolution and the impact those experiences have had on his art. In the 1980s he began an ongoing series of circle paintings relating to the Dao concept of the universe. 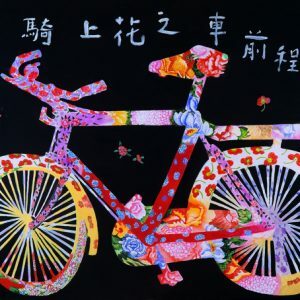 His Pop-style paintings from the late 1980s have a decorative aspect derived from folk art, and his figurative paintings represent both the history of China and his own personal history. But in Yu’s colored, floral-strewn portraits, Mao’s principles of “art for the purpose of political instruction” and “art for the pleasure of the masses, ” set forth in his Yan’an talks on literature and art are given a new twist. Yu Youhan’s images use foksy patterns and a whimsical composition like approach to art. He started his new “Yimengshan” and “Traditional Garden” series in recent years. Here, Yu reveals how intertwined personal and national histories can be. Perhaps it is fair to say that Yu’s work comes out of a single conviction: namely, that art should reflect societal change. The World is Yours, as well as Ours, White Cube, London, U.K.
1996 Reckoning with the Past, Contemporary Chinese Painting, Fruitmarket Gallery, Edinburgh, U.K.